The method to locate the chosen card is not sleight-of-hand based. 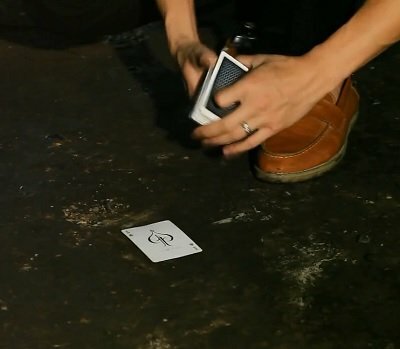 But to present it properly you will need some basic card handling skills such as shuffling, cutting, and spreading cards. Depending on how you choose to produce the chosen card you may need to be able to cull the card, or do other moves. But these are not essential.